If you’ve read our INTJ Fall trends article, then you’ll be all in the know about the 2018 Fall fashion trends; however, there was one fall fashion trend we want to highlight because it’s just so INTJ cool. The sporty-chic fashion trend is worthy of its own call out moment. 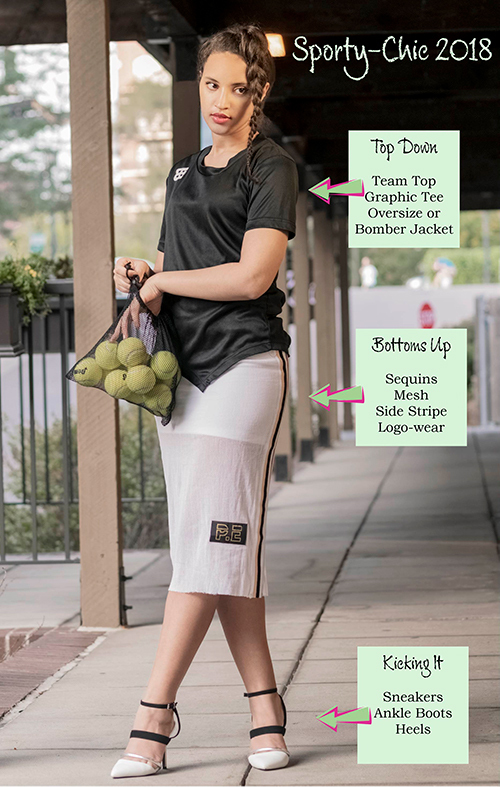 As a trend, sporty-chic has been gaining traction since the Spring/Summer 2013 Runways, mixing traditional sportswear clothing items like t-shirts, varsity jackets, and jersey shirts, with chicer fashion items: fashion skirts, high-end jeans, and heels as a way to be comfortable, but also to look acceptable enough to dine at a restaurant without looking too dowdy. In this way, the activewear trend produced the sporty-luxe trend. Both trends continue to evolve under the umbrella term “athleisure”, however, there is a distinct difference between sporty-chic and athleisure. Athleisure refers to activewear fashions such as yoga pants, workout wear, and the like. 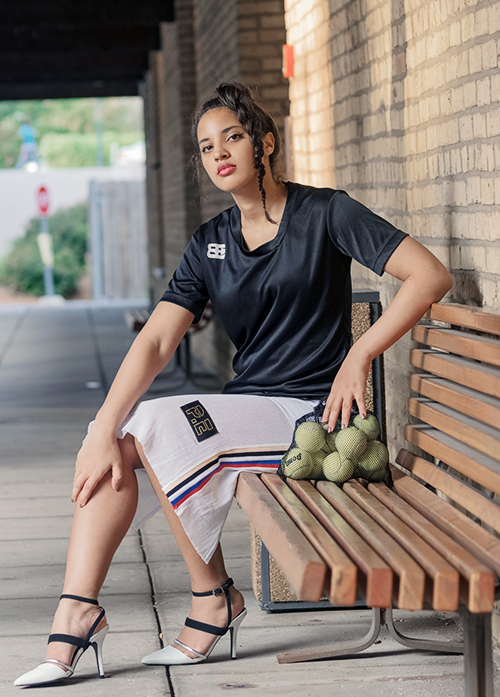 Sporty-chic is a trend that incorporates the use of athleisure fashion, mixing it with formal fashion, blending together high and low fashion, or casual and formal fashion. However you choose to wear the sporty-chic trend, it’s a perfect style for the transition to cooler temperatures. Pair sweatshirts, graphic tees, or puffy jackets with chic fashion or businesswear. Ultimately, sporty-chic is about comfort with a touch of chic elegance. From an INTJ perspective, it’s paradoxical style, so it definitely gets a check in our INTJ cool box.